Every change is difficult and stressful, but believe it or not stress-free relocation is possible. Although the majority of people consider moving to another location to be one of the major changes in their life, it is still possible to complete this big task and move your entire home to another address without too much stress and worrying. However, to do it in such a way – without stress, anxiety and worries – it is important to make a detailed plan that you are going to follow throughout the entire relocation process. This plan will include several steps and it is of major importance to follow each and every one of them (without avoiding any!) as this will ensure complete success and achievement of the already mentioned important goal: a stress-free relocation to a new address. First of all, it is important to make a full inventory of your belongings. Write down everything you own at the moment and then underline everything that you think you should move to your new home. Then sort all these things into several categories: furniture, cutlery, art, fragile things, etc. Use different color markers or stickers to make this categorization visible. This will make it easier for you (and for professional help if you include them in packing) to sort out things – first in the boxes then in the rooms you need them to be. Careful and well thought through packing will save a ton of time when unpacking at a new address. Marking boxes with their content is one of the most important steps when you pack. It is also a good idea to write the content of the box besides writing down the basic category of content. This will come in handy when you start unpacking and when you urgently need some things before others. To pack all your stuff and prepare them for relocation, you will need boxes and wrapping materials of different sorts, shapes and sizes. Cardboard boxes are easily accessible and will come in very handy for relocation. You can buy new boxes or collect used ones you get from local stores, malls, etc. It is recommended not to put fragile and breakable things in previously used boxes because these could get damaged during transportation. Get new boxes for glasses, dishes, mirrors, art and electronic devices. Before you start packing, sort boxes according to their individual characteristics and type of things you will pack in them. It is good not to overload boxes, just to be sure that everything will arrive safely at a new address. Don’t forget to tape each box well and to write (in capital letters) what is in the box. It is logical to combine heavier and lighter things in order to use space in the box to the maximum, while at the same taking into account the recommended weight for each box. Depending on the amount of stuff you are going to move as well as just how big these items are (furniture and devices), you will definitely need different packing materials. Unless you are going to hire professionals to do the packing for you, it is important to keep in mind several things. In order to assure the safety of your furniture during relocation, you should get at least the following materials: wrapping paper (you can wrap in it things you want to protect from dust); wardrobe boxes which are appropriate for placing your clothes along with hangers; boxes with double walls of medium size (appropriate for smaller electric devices, books, discs); large boxes with double walls that are perfect for larger home appliances, clothes and shoes; shallow boxes with double walls that are appropriate for general packing; wrapping foil that will protect irregular shaped things and at the same time protect them from dust and dirt; air-tight foil that will perfectly protect fragile things. This foil is made of durable material and bubbles filled with air add to its flexibility. Polyurethane foam will prevent scratches and damage on sensitive things. Foam flakes will fill the voids in boxes containing antiques, figurines and misc. valuable things. Pack things step by step. It is easiest and least painful when it comes to the packing process to pack and move one room at a time. This way you will clear out your home gradually and have detailed insight into what is left. Sorting out things in individual rooms will save you much time when you start unpacking in your new home. This will also enable you to put aside all the stuff you are not going to take to your new home. This is an excellent opportunity to decide what you are going to do with these things. There are several options: you can give them to family of friends or maybe donate them to needy ones. You can sell them in a garage sale and earn some money that will come in handy for relocation expenses. It is important to make this choice and not take with you things you don’t need any more and things that don’t have important value for you. 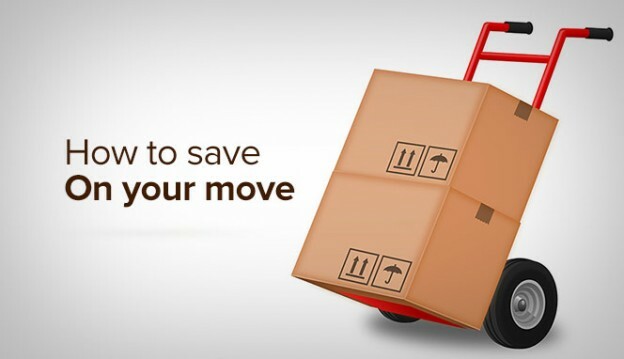 By making a clear choice of what you are going to relocate to a new address, you are going to save yourself and the relocation company time and space – and this means saving your money in the end. Several boxes of unnecessary things can make a difference between a van and a truck and we are sure that you are aware there is a significant difference in price. You should unpack boxes in your new home gradually, one room at a time, just as you have packed things in your old home. Markers and writings on boxes will make unpacking easier and faster and will save you lots of time. It will also save you from unnecessary stress. From the previous steps, it is evident that relocation can be a stress-free and affordable process, even if you choose to hire professionals to relocate your things to a new home. Of course, you won’t have the necessary capacities and time to relocate your entire home to a new address when the entire family and home full of furniture, appliances and personal belongings are moving to a different location. Even if this location is in the same city, just several blocks away, you will still need a professional relocation company to help you with this. When making a choice of a good professional relocation company and when choosing a good time to relocate, there are some things to consider that can also save you some money on relocation. For one, it is always important to choose your timing wisely. The majority of people choose summer for relocation, which is the reason why relocation companies have lots of work during this period – and when you will have to pay more to hire a good, professional one. In such a situation, if you anticipate that you will move during this hectic (for relocation) period, it is good to act well in advance. Contact the relocation company and hire it 3-4 months in advance. This way you will ensure a good deal. Of course, before making a final decision of which relocation company you are going to hire, it is good to ask for several quotes. In asking for quotes make sure to mention important info that might affect the price. Or wait for the company to ask for such details – this will hint that the company you have contacted is really professional in this line of business. True professionals in the relocation business will never forget to ask you details about the floor from where they should take things (especially heavy furniture) as well as the floor to where they will move things to; they will want to know if there is an elevator in the building and how wide corridors are. They will want to know whether there are any special cargo among your things (such as piano or a safe box) – these things need special equipment to get them out of your old home and to put them in a special transportation vehicle, as well as to place them in your new home. Additionally, special cargo requires specially trained workers to ensure the safety of the property and people during the relocation of such cargo. A professional relocation company will always offer to insure your property during relocation. This is not recognition of their poor work, quite the contrary – they are very professional and just want to make that additional step toward ensuring the full safety of your things. Insuring things during relocation will protect your belongings for the case of any unexpected event (such as a road accident). Once your things are packed and ready for transport to your new home, you are ready to move. Take your precious personal belongings with you and go to your new address to wait for the truck with your stuff. May your new life be a happy one and it will surely start easily as a breeze if you relocate following these tips on good relocation organization.